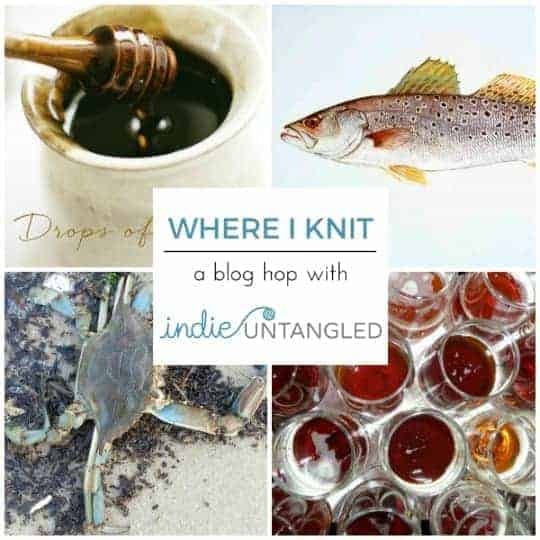 I’ve really enjoyed seeing people writing and reflecting on the places they knit through the blog hop in honor of the Where We Knit yarn club. The knitting bloggers and vlogger who participated took readers/viewers everywhere from Japan to Belize to the subway (and that actually wasn’t Maria from the Subway Knits podcast and blog). Knitwear designer Kristen Jancuk of MediaPeruana Designs wrote about her adventures around the world (and in her own living room — a favorite place for most knitters). Maria of Subway Knits wrote about knitting in public at work, as well as in Japan, where she first took up the craft. Alicia of Sweet Sheep Body Shoppe fame has an awesome photo in her blog post on Woolen Diversions showing her knitting in one of her wedding photos! The winner, chosen by random number generator, was designer Dana Berry of danadoodleknits, who created a video blog, with awesome footage of her knitting on the subway. Who knows — maybe I’ll run into her one of these days! Congrats to Dana and a big Thank you to all the participants! If you’re interested in signing up for the club, there are a limited number of spots left. This entry was posted in Giveaway and tagged patterns, whereweknit, yarn, yarn club. Yay! Can’t wait to see the club installments! It might take me a while to figure out which one I want!